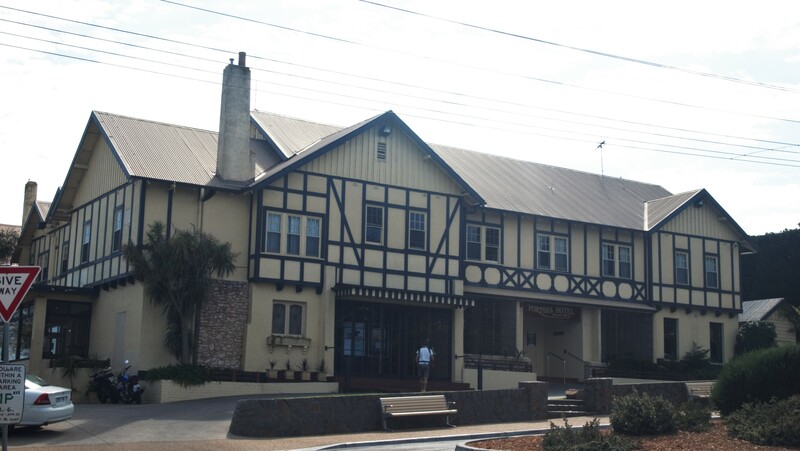 This historic pub set on the beautiful Portsea foreshore has long been a drawcard for locals and tourists. With a huge interior dinning room, heaps of outdoor seating and a number of different bar counters inside, it has clearly been designed to cater for the masses. Like many pubs in holiday destinations, its family friendly and offers standard pub fare like fish and chips, burgers and steaks all at marked up prices. We visited over the Grand Final long weekend and the place was absolutely buzzing. By 6.30pm the dinning room was packed full of holiday goers who had all arrived for the first sitting, which meant that I spent 20mins queued with them to order food (typical bistro set up, where you take a seat, order food at the counter and they bring it out to you when ready), but on the upside the kitchen worked at a decent pace and we received our meals within 25 minutes of ordering. 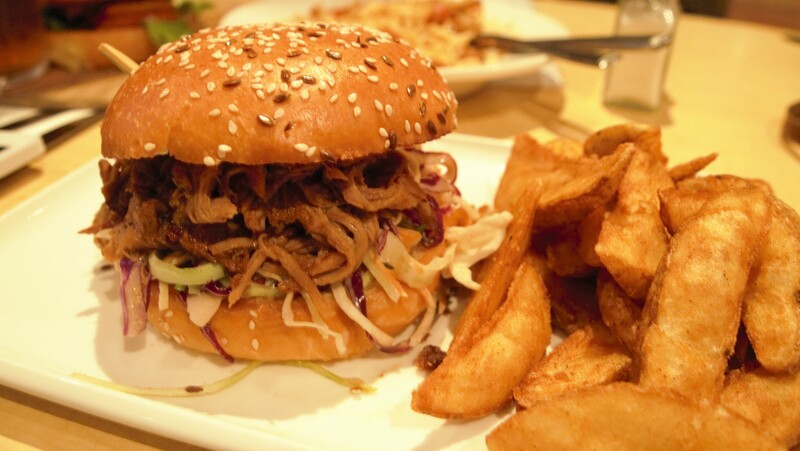 The pulled pork burger was pretty good. The pork was tender, moist and quite flavoursome. The slaw was supposed to be tossed in hot mustard however I couldn’t really taste the mustard which works for me because I’m not big on hot mustard. On the downside, my wedges were freezing, they felt and tasted like they had been sitting there for ages which was really disappointing. My husband had the beef burger and for the most part enjoyed it. 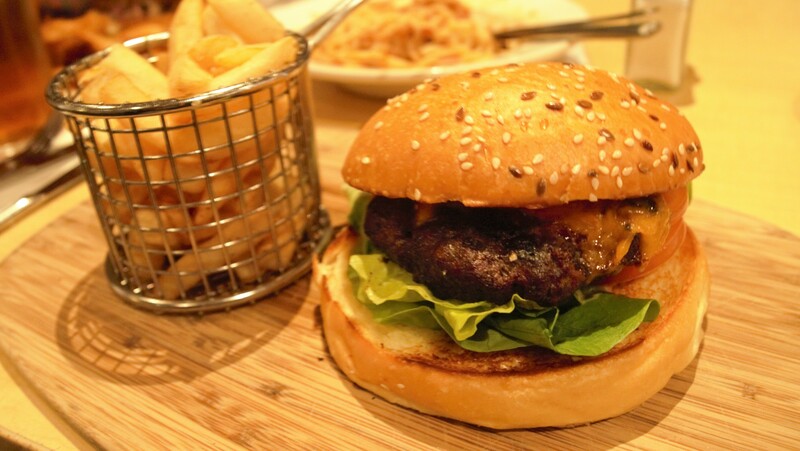 It screamed of classic pub burger, it had an over cooked beef patty topped with all of the standard fillings but was exactly what we’ve come to expect from this kind of pub. So although it wasn’t the best burger he’s ever had, it was exactly what he expected to get which made it a-ok. Although the food wasn’t mind blowingly good, I would definitely come back here to enjoy a few drinks in the sun. There is definitely something to be said about enjoying a beer or two (or three) in an idealic location like this, where you can let your hair down and enjoy great company, without having a care in the world.